Have you ever watched a commercial for prescription medicine and cringed slightly at the long list of possible side effects? Heart attack, stroke, blood clots, etc. Companies advertising such products legally have to give you all the info about the possible conditions you could develop by using their products. Sadly this isn’t the same for things like beauty and bath products, or household chemicals. Things that come in direct contact with your skin every single day, if you could hear the potential side effects, you would probably rethink their use pretty quickly. Thankfully consumers have begun to rethink their use of such products on their own, thanks to the help of online resources and apps like Think Dirty. Knowing which of your products can be toxic, and how to replace them with great alternatives can be hard though. A lot of these chemicals have purposes like preventing the growth of bacteria and making the product appear more vibrant. While that sounds fairly innocent many of these have actually been linked to cancer, allergies, skin reactions, and reproductive system issues. They are not always easy to spot though. So consult apps like ThinkDirty and websites like Beautypedia and Cosmetics Ingredients. For instance, Cosmetics Ingredients can help you search for the ingredients in a particular product, and tell you what that ingredient actually is, and what it may really contain. It’s likely that many of your favorite drugstore brands contain some pretty potentially harmful ingredients. So many brands recently have started to appear offering great healthier alternatives to potentially harmful products. All natural makeup, deodorant, cleaning products, and more, have started to enter the market which means you have plenty of options when looking for healthier products. There are also some products which you can make easily at home! We can’t endorse trying to make your own deodorant, especially if you’re prone to sweating. However, you can make products like face masks and face scrubs easily and cleanly from your own home. Check out how we made a face scrub, calming mask, and a hydrating mask, all from food and ingredients we already had on hand. Brown sugar is a great way to exfoliate your skin, remove dead skin cells, and improve the appearance of skin. Also because the sugar itself is smaller than other types of sugar crystals, you’re less likely to upset your skin! Check out our easy tutorial video below. This mask is perfect for calming your skin and reducing the color of dark spots or blemishes. The lemon and cinnamon combine to help exfoliate your skin and even reduce inflammation. Plus it’s pretty likely that you already have all the necessary ingredients in your pantry. This might be playing into the millennial trend of loving avocados, but either way, this mask is great for your skin and is all natural. Avocados, yogurt and lemon juice combine to help hydrate your skin and reduce redness. It’s easier than ever to switch the harmful products you use every day, for natural healthy alternatives. There are even natural supplements you can take to help you maintain clear glowing skin, without having to use harsh chemicals. 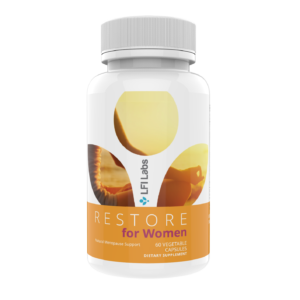 Restore Glow is a great example and contains ingredients such as Vitamin A and Niacinamide to help you maintain great skin health. Take some time to check to see what’s in your current favorite products, and embrace the trend of natural, or even homemade alternatives! Also, make sure to comment below and tell us which mask was your favorite!